AKIPRESS.COM - The Mongolian government launched a four-year programme to boost cashmere and wool industry in February. The initiative aims to increase exports more than fivefold by providing financial support to help domestic firms improve technology and expanding the country’s processing capacity, news.mn reports. The Mongolian Wool and Cashmere Association along with Mongolian national enterprises such as Erdenet Carpet LLC, Ulaanbaatar Carpet LLC, Mogul Wool LLC and Sor Cashmere LLC have been working with the aim of combing the overwhelming percentage of wool and increasing production of final products - in other words, covering the full cycle from processing to final product. Accordingly, they have requested the Mongolian Agricultural Commodity Exchange to decrease commission rates. This request has been heeded: the exchange has reduced the commission rates for combed wool by 0.2 percent and for washed wool by 15 percent. Currently, one kg of wool is sold by MNT 3200-MNT 4000. Mongolia produces annually over 30 thousand tonnes of wool. The government aims to process 26 thousand tonnes of wool domestically. The Development Bank of Mongolia and the Ministry of Food, Agriculture and Light Industry have also established an 500 billion tugrik “Cashmere Development Fund”. 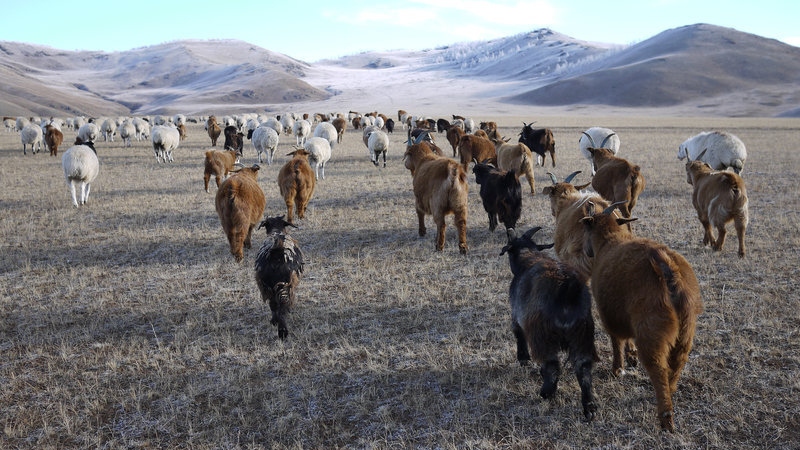 Mongolia has an estimated total of 27 million goats, currently giving an annual cashmere production capacity of 9,400 tonnes.